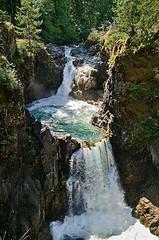 The Little Qualicum River has carved a narrow canyon through the rocks creating impressive waterfalls which cascade down the rocky gorge in a beautiful forested setting. 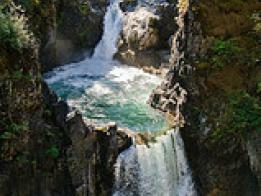 Here visitors can admire the thundering falls from the safety of the trail and two bridges. 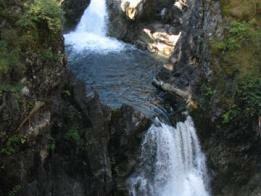 The loop trail takes about thirty minutes and is suitable for families with young children. 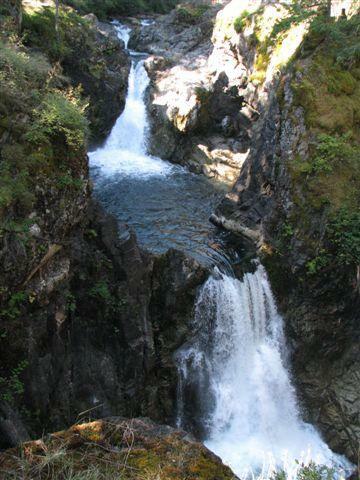 On hot summer days the Little Qualicum River offers a number of cool, clear pools - great for a refreshing dip, though it is equally impressive all year round. The trail follows the course of the river on both sides before crossing in 3 places, allowing shorter walks if desired.